Kindness itself is a way of life. There will always be those who wait for others to lift the heavy load, those who count on you or me to make the extra effort. Do not begrudge them. For though they suffer, they have not suffered enough. They cause themselves more harm than they know. When you lend a hand, you open a way for your heart to touch the heart of everything. This is a wealth that only grows. While those we help may leave or die or simply grow into their own beauty and be loved by others, the closeness uncovered by kindness turns to light in the body, until the closeness generated by kindness makes a lamp of the heart. pathwriter’s note: I highly recommend this (or any other) book by Mark Nepo. He has been a constant spiritual companion/teacher for me for the past four or five years. There is a way of seeing without projection, and it’s beautiful. 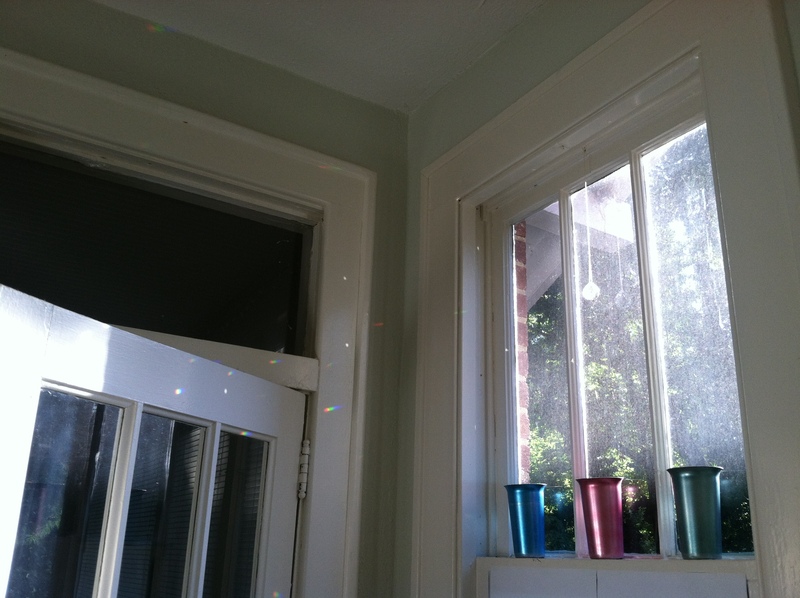 I can’t remember exactly when I first bought and hung a crystal prism in a sunny window, but I know the first time I walked in and saw rainbows dancing across the walls, I fell in love. Such a little thing, and yet such joy! All from a tiny ball of glass. 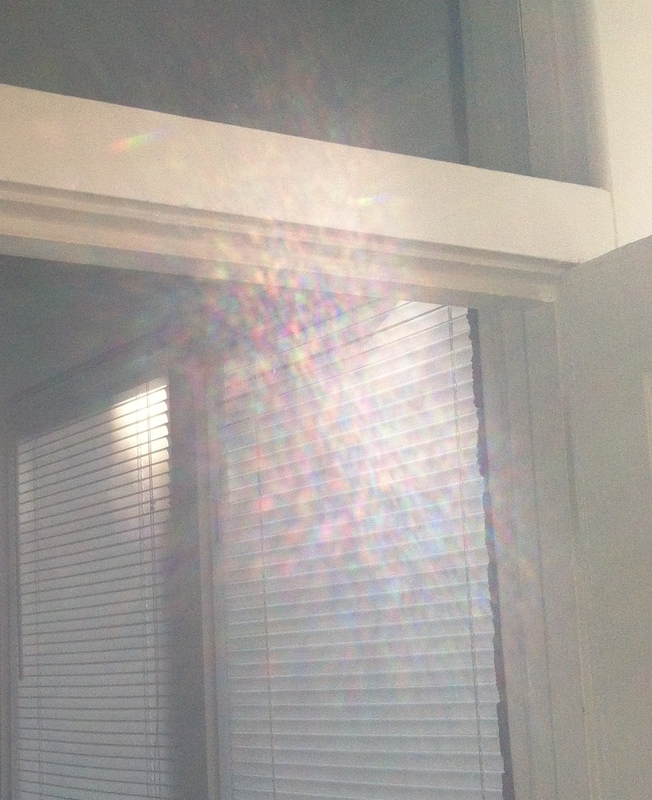 The kitchen of my house faces east and receives wonderful morning sun through its two small windows. I’ve hung a crystal in each one, and on sunny mornings, I’m greeted with magical dabs of color on the walls and ceiling and cabinet doors. The sight never fails to make me smile, even in difficult times. 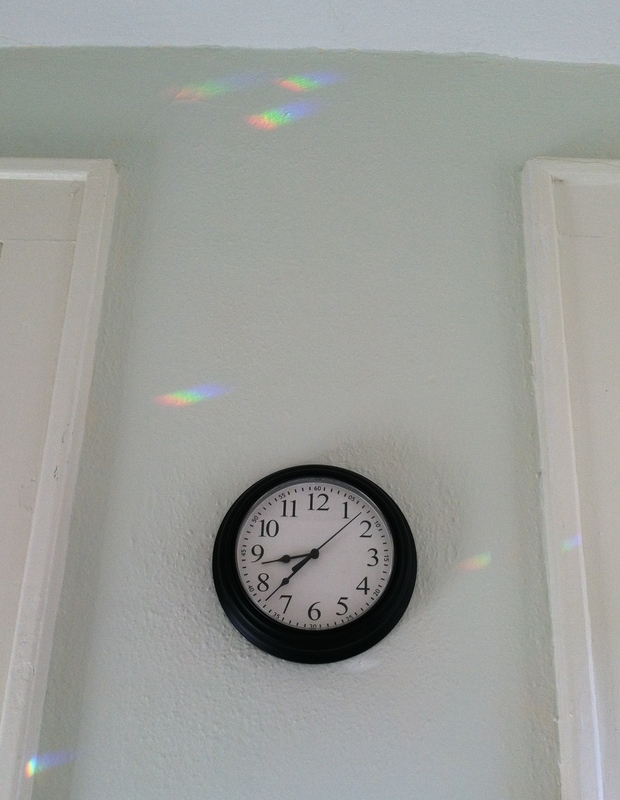 On the surface, these dancing rainbows are a small, perhaps (to some minds) a frivolous thing. On a deeper level, however, they’re a link, a tether, to all that’s good and right about the world. They’re a momentary respite—or even a way out of—whatever darkness or heaviness I might be caught up in. I can look at them and think, Even in the midst of (fill in the blank with my current “problem”), there is this—these fairy-like splashes of color and light. Even in the midst of strain and stress, beauty goes on, the light still shines. For you, it might be something else. It might be the birds that visit your feeder every morning, or the dog that wakes you with a lick or a paw on the side of the bed. Whatever it is, take a moment to see it, to receive it. Carry it with you through your day. It’s the small joys—digging in the dirt, sliding between freshly laundered sheets, watching my cat sleep in a sunny shaft of light—that have gotten me through the tough times, and luckily, the small joys are always there to be had. I just have to take the time to notice. …and when all the wars are over, a butterfly will still be beautiful.